Hypothesis testing starts with setting up the premises, which is followed by selecting a significance level. Next, we have to choose the test statistic, i.e. t-test or f-test. While t-test is used to compare two related samples, f-test is used to test the equality of two populations. The hypothesis is a simple proposition that can be proved or disproved through various scientific techniques and establishes the relationship between independent and some dependent variable. It is capable of being tested and verified to ascertain its validity, by an unbiased examination. Testing of a hypothesis attempts to make clear, whether or not the supposition is valid. For a researcher, it is imperative to choose the right test for his/her hypothesis as the entire decision of validating or refusing the null hypothesis is based on it. Take a read of the given article to understand the difference between t-test and f-test. Meaning T-test is a univariate hypothesis test, that is applied when standard deviation is not known and the sample size is small. F-test is statistical test, that determines the equality of the variances of the two normal populations. Test statistic T-statistic follows Student t-distribution, under null hypothesis. F-statistic follows Snedecor f-distribution, under null hypothesis. Application Comparing the means of two populations. Comparing two population variances. 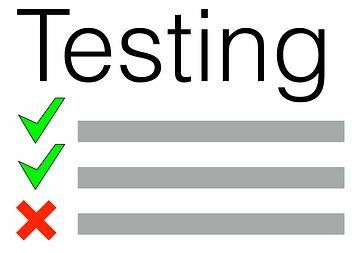 A t-test is a form of the statistical hypothesis test, based on Student’s t-statistic and t-distribution to find out the p-value (probability) which can be used to accept or reject the null hypothesis. The population is infinite and normal. Population variance is unknown and estimated from the sample. Sample observations are random and independent. The sample size is small. H0 may be one sided or two sided. F-test is described as a type of hypothesis test, that is based on Snedecor f-distribution, under the null hypothesis. The test is performed when it is not known whether the two populations have the same variance. The population is normally distributed. Samples have been drawn randomly. A univariate hypothesis test that is applied when the standard deviation is not known and the sample size is small is t-test. On the other hand, a statistical test, which determines the equality of the variances of the two normal datasets, is known as f-test. The t-test is based on T-statistic follows Student t-distribution, under the null hypothesis. Conversely, the basis of the f-test is F-statistic follows Snedecor f-distribution, under the null hypothesis. The t-test is used to compare the means of two populations. In contrast, f-test is used to compare two population variances. T-test and f-test are the two, of the number of different types of statistical test used for hypothesis testing and decides whether we are going to accept the null hypothesis or reject it. The hypothesis test does not take decisions itself, rather it assists the researcher in decision making.